I am a “hometown boy” returning to Cedar City where I was born and raised. I graduated from Cedar High School and Southern Utah University before attending Nova Southeastern University in Ft. Lauderdale, Florida. After earning my DMD degree in general dentistry, I continued in sunny Ft. Lauderdale at NSU completing a two-year intensive residency in orthodontics. There, I was exposed to hundreds of patients with different malocclusions and was trained in a variety of treatment methods for children, adolescents, and adult patients. The transformation that accompanies orthodontic treatment is unique and wonderful, both in terms of the physical appearance as well as the overall self-esteem of the patient. I anticipate and guide that transformation throughout orthodontic treatment, and it comes with a great deal of satisfaction and patient enjoyment. Patient interaction and the ability to talk with patients, answer questions, and help them appreciate their treatment is a meaningful part of my role as the orthodontist, as is as meeting and interacting with so many interesting individuals and families. One of the most fulfilling moments in my day is having a new patient exam with a child or even grandchild whose parents or grandparents were treated by Dr. Whetten or myself years earlier. Then, an appreciation for the service and happiness orthodontics brings into a person’s life can truly be appreciated. I have enjoyed treating many patients bilingually, during both dental school and my orthodontic residency. I served a LDS mission in Cordoba, Argentina, where I learned Spanish. One highlight of my dental education was a summer service trip to the interior of Brazil. It was remote and impoverished yet the people were fantastic. It was an honor to work with them and provide dental service that otherwise would not have been available. I met my wife, Juliann, at SUU and we married after my first year in Florida, proving that long-distance relationships can work! We are the parents of one daughter, Taylyn, and sons, Jaxon and Lincoln. I enjoy fishing, golfing, volleyball, and various water sports. Prior to dental school, I could often be found with my volleyball net set up on the quad at SUU playing a match between classes, or catching the first ride at daybreak at Lake Powell. I have enjoyed orthodontics for as long as I remember, first as a patient, and now as an orthodontist. 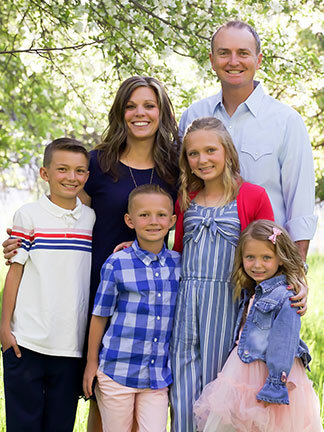 Having joined my uncle, Dr. Lance Whetten, who has practiced in Cedar City as an orthodontist for the last 30 years, is the realization of a family dream and an opportunity for me to serve the community that meant so much to me as a youth and now an adult.